November is Home Care Month! When the time comes to consider home care for your spouse, parent, or loved one it can easily become a daunting prospect. It is a very thoughtful process in making the decision on a loved one’s care, and often in the process the option of home care arises. Here at Freedom Home Care we’ve put together a helpful guide to some of the benefits to having your loved one cared for right in the comfort of their own home, and just in time for November – Home Care month! There is a reason people say ‘home is where the heart is’. From treasured family heirlooms to comfy quilts, home is usually where people feel happy and safe surrounded by their own things. Home care offers aging men and women the opportunity to stay in their homes and still receive proper health care. 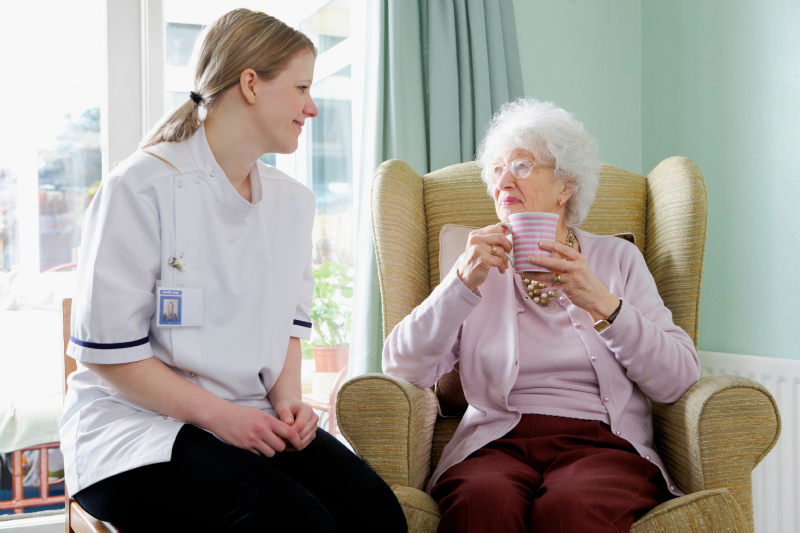 When compared to facility care it can be easy to see why communication is much more personal in a home care scenario. You and your loved one are able to communicate with your personal care professional easily and by your preferred channel, in person, email, or phone. This connection ensures you will always be in the loop when it comes to updates and pertinent medical information. Having a care professional in your or your loved ones home can be beneficial for medical as well as socialization purposes as well. It can be uneasy bringing a new person into any home, but home care professionals bring personal warmth to daily work making everyone feel at ease. Many patients come to regard their home care professional as a companion and friend. Whether your loved ones is plagued by a physical limitation or is living with Alzheimer’s, a home care professional will be experienced in the specific care and assistance needed. Rather than a professional taking care of many people at one time at home care allows for one on one personal and tailored care. Here at Freedom Home Care we are here for you, for however long you need us. We are here to support you and your loved ones with exceptional care and service. For more information on home care and the many benefits please reach out to us today at 1 (877) 262-1223.